Scientists at Case Western Reserve University School of Medicine have found that bacterial products seep out of the colon, trigger inflammation throughout the body and set into motion the processes of cardiovascular, neurodegenerative, chronic kidney and metabolic diseases, and cancer. Bacteria can induce serious illness, but bacterial products are harmless remnants of dead bacteria. However, the immune system does not easily distinguish between live bacteria and bacterial products. Therefore, an immune attack is launched when bacterial products enter the bloodstream. In an infection, tight junctions within the colon become the weak link providing an entryway for bacterial products to leak out. The decline of the tight junctions correlated with increased microbial translocation and a greater level of inflammation throughout the body. This finding provides evidence that a defect in the gut wall allowing bacterial products to leak out is the likely source of immune activation and subsequent inflammation. These findings provide a clear target for clinical intervention — repair the molecular and structural epithelial leakiness in the tight junctions of the colon. Digestion is the key to health. This study showed that a breakdown of the tight junctions in the intestinal tract is the source of inflammation throughout the body leading to cardiovascular disease, neurological disease, metabolic disease, kidney disease and cancer to name a few. This study also found the breakdown in the tight junctions was greatest in the presence of the colon where the bacteria were the greatest. What does this mean? Leaky Gut comes from a breakdown of the intestinal lining tight junctions. There are over 30 causes of this and we address all of them at Total Health Institute but one of them spoken of in this article is bacterial overgrowth. There are good and bad bacteria (we test for this) and if the bad bacteria overgrow then this will break down the tight junctions and cause Leaky Gut Syndrome which is one of the largest causes of inflammation in the body. What are some of the other causes of Leaky Gut? Food sensitivities– we test each patient for their food to make sure they are never eating anything that they are sensitive to. One of the biggest two are sugar and dairy products. 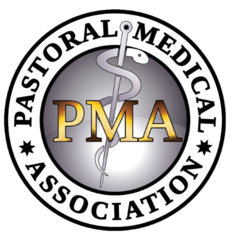 Parasites– these must be tested for and a specific protocol for each parasite is used. Do not do general parasite cleanses or you will make them bore deeper into the intestinal lining. Heavy metal toxicity– We test for heavy metals like aluminum, lead, mercury, cadmium and arsenic. These destroy the tight junctions and cause Leaky Gut. What can you do to help your intestinal function? 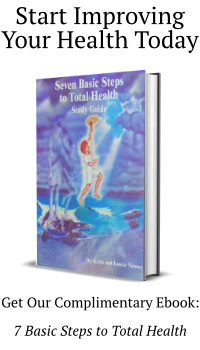 First get healthy by following the 7 Basic Steps to Total Healthevery day of your life. Second make sure you are taking probiotics and digestive enzymes. These two are critical maintaining healthy intestinal function. All these and more are tested in our treatment and teaching programs done at Total Health Institute. Also for those who live too far to come to THI we have a Stay at Home Program to help you improve your health. If you want to improve your health make sure you improve your digestive health.